A KU student has received the Young Greenhorn Film Award for his short-film produced this summer. First-year student Ed Chappell found inspiration for his short-film in his hometown of Devon, where he encountered a local man who spends hours a day drawing patterns in the sand, only to have them washed away by the tide. Chappell, 19, said he felt the sand artist could make a strong character for a film so he decided to approach him. To the locals, the artist Geoff is known as the Sandyman. The short-film depicts the middle-aged man using a rake to carefully etch out his designs. It portrays him as a man who relies on geometry theory, rather than simply sketching random lines. Chappell completed the filming in one day, with the weather and tides on his side. “It was a simple setup as I didn’t want to invade his space too much, or put off the public from naturally interacting with him,” Chappell said. The Greenhorn Short Film Festival, founded in 2011, recognises up-and-coming film-making talent. Now in its fourth year, the festival also awards and screens productions from young filmmakers. Chappell took home the Young Greenhorn Film Award on November 18. The award acknowledges young film talent between the ages of 16 and 25. “It was a really great moment realizing that other people truly respect your work,” he said. Chappell had already won a Newcomer Award at a festival in Guernsey four years ago and he said this year’s award will encourage him to continue promoting his film and to produce new ones. “I’m always on the look-out for projects that span beyond university and I’m currently developing new ideas,” he said. 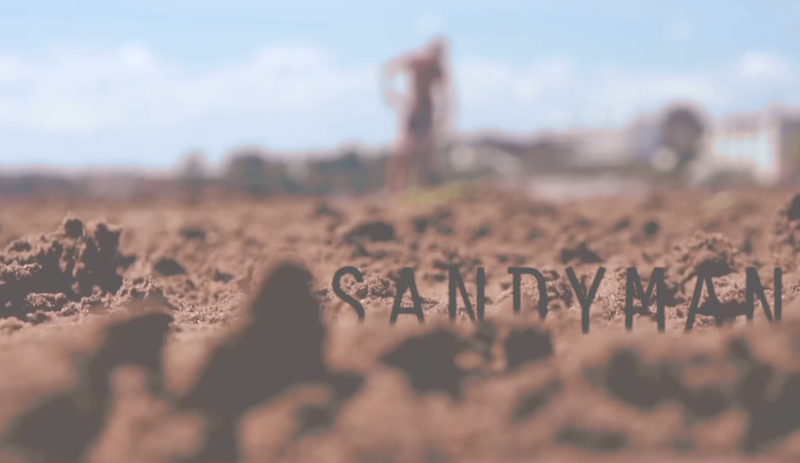 Sandyman from Ed Chappell on Vimeo.